Deva Motif Taps Bath (2 Pack) is rated 5.0 out of 5 by 5. Rated 5 out of 5 by Vixter123 from Great taps Bought these and matching bath taps,great product good quality excellent fit. Rated 5 out of 5 by Vixter123 from Great taps Bought these 2 weeks ago exactly what I was looking for. Good quality and excellent fit. 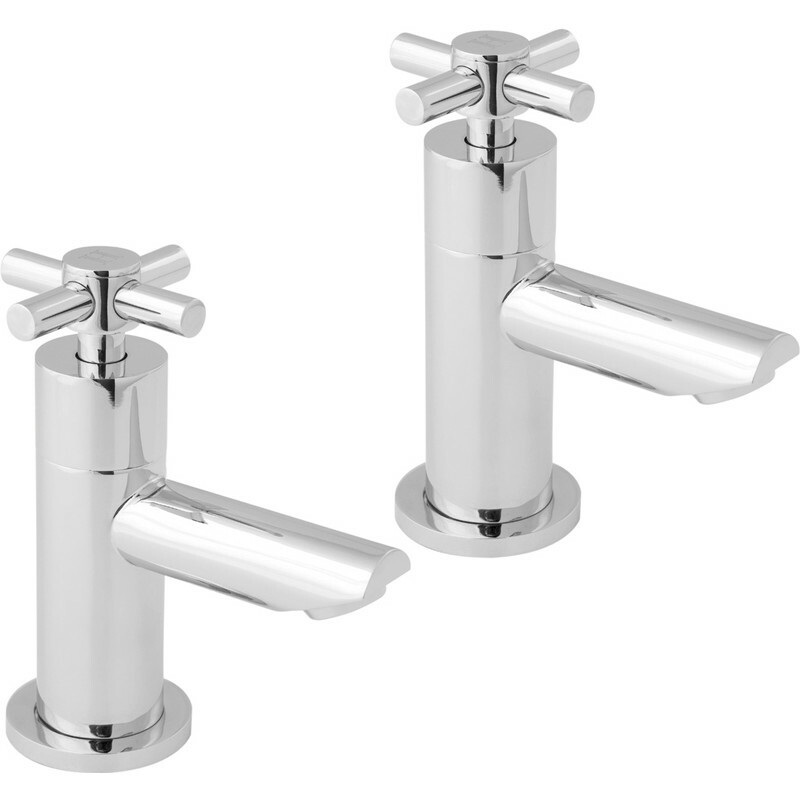 Rated 5 out of 5 by Happy HAD from Great value Bought these taps along with the basin waste. Great value for money and nice, shiny non-fussy look. They are taller than our old taps so make using the small basin we have much easier. Rated 5 out of 5 by Polly mit Stllson from Decent quality good looking and function. Well made taps from excellent retailer. Rated 5 out of 5 by Frances from Good value Bought as replace to taps for downstairs cloakroom. Heads turn easily, even with wet and soapy hands, which the originals certainly did not! Plumber admired the quality and said they were easy to fit. They look very good and we are very pleased with them. Usual excellent service from Toolstation, but carrier for some reason failed to execute express delivery as requested (and paid for!). Still, taps were here just about in time for the plumber so all ok in the end.